Are you familiar with Linda, of My Crafty Home Life? I met her when she was the winner of one of my prints in a giveaway. We emailed back and forth about the colors and got to be friends. She has a daughter the same age as mine, and we like to chat about that as well as blogging. I used to be so surprised by what I would see on her blog. The projects she tackles are unbelievable. Seriously, Linda has crazy DIY skills and is not intimidated by any project. Now, I'm still amazed, but have gotten over the shock and awe of a non-DIYer seeing what is possible from a friend like Linda. Wouldn't it be wonderful to be able to do your own upholstery? Linda guest posted on Tobi Fairley's blog and shared a DIY chair makeover. See it here. How fun is a pagoda pelmet? 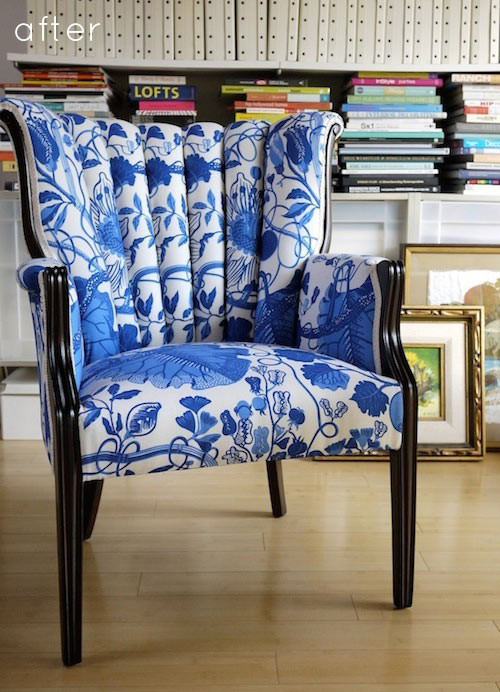 Linda did a guest post on Chinoiserie Chic and gave a tutorial on how to make one yourself. See it here. I found this china cabinet soon after I got married. It's Baker from the 20s, and the finish wasn't the prettiest when I found it. I had it refinished. Now, I'm feeling ambivalent about the sea of mahogany that is my dining room. 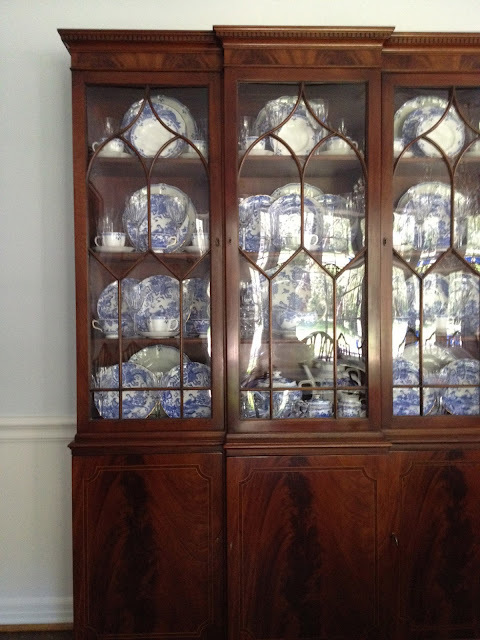 Linda redid her china cabinet and it looks fantastic, of course. See that post here. If you're a regular, you know about the One Room Challenge. Linda created it and very graciously included me. I've asked her about that, along with a few other questions. How did you become so skilled in so many areas of home improvement? How did I become so skilled:, Thank you for the compliment. When I was in middle school, I took sewing as an elective (wow that dates me). Later, I worked in a fabric store and would sew some of the displays. Fast forward; when we bought our first home, it needed a lot of work. I had a retired handy man for a neighbor. He loved helping me with various projects. He taught me a lot. Frankly, I was the "son" he never had. As for upholstery; I would take upholstery class one evening a week, through the Adult Education department at a local High School. I did that on and off for five years. Honestly, It was a DIY-ers version of Ladies Night Out. The more mistakes I make, the more I learn. How did you have the idea for The One Room Challenge? The One Room Challenge; I was blog hopping and would continue to see a constant theme, nobody had a finished room. No judgement, my entire house is unfinished! 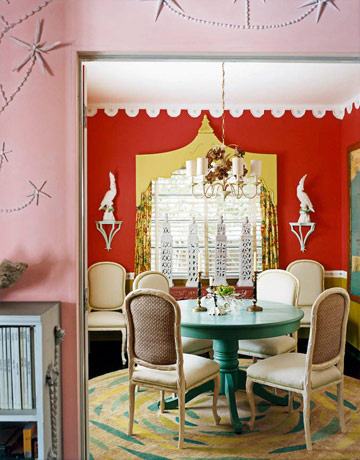 So I thought, what if we all worked together, and encouraged each-other to finish a room? Peer pressure can be a great motivator. I emailed Kim to see if she thought it was a good idea. She loved it, and gave me the courage to approach total strangers and ask them to participate. If you remember, the working title for that was "Finish THAT Room"...shortly after the first group email, I renamed it. What do like best about blogging? What I like best about blogging. Honestly, meeting amazingly talented women with mutual interests. I know that if I blog about a project dilemma or a design question, I will get multiple perspectives that I never would have thought of. How cool is that? Tell me about your exciting new Lowe's opportunity? 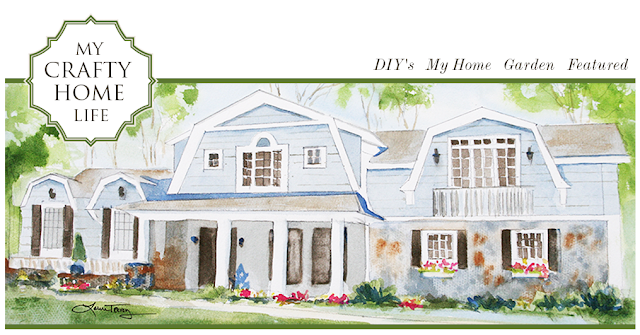 the Lowe's thing.... Lowe's invited me to be one of their Creative Ideas garden bloggers. Once a month, for six months, I will be participating in garden blogging challenges sponsored by Lowe's. I will also be having Lowe's Gift Card giveaways to my followers, periodically. So, as you're reading this, are you thinking, "really, gardening too?" Yes. As if all the DIY skills aren't enough, she's also got an absolutely beautiful garden and serious gardening skills. You can see some of her gardening posts here and here. I'm so appreciative to have Linda as a friend. Besides having all these crazy skills, she is a lovely person. I'm so happy to be able to share her with you!